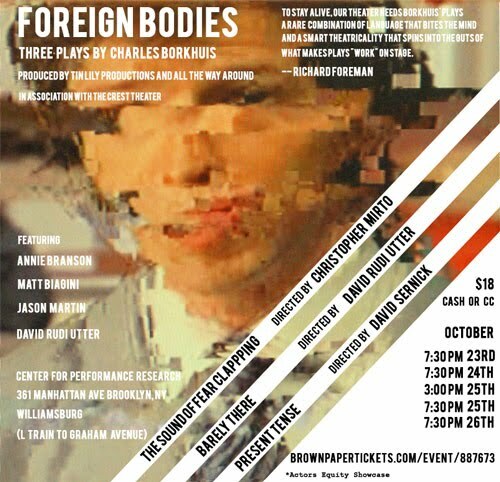 Foreign Bodies is an evening of theater by renowned playwright Charles Borkhuis. 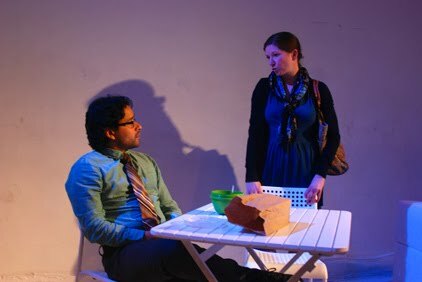 The night is comprised of three separate plays and uses a different director for each piece. 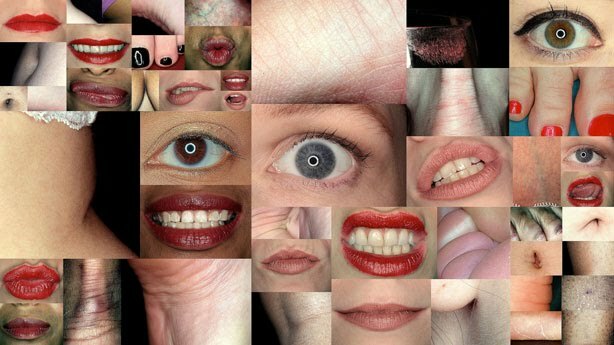 Through the aid of a unified design team, four actors transition between each of the pieces. 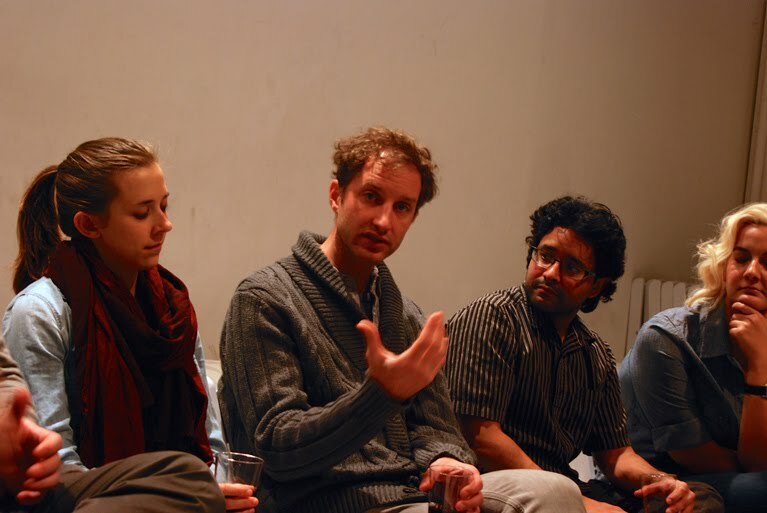 Together, the plays work to explore identity and self through the mind and words of Mr. Borkhuis. Inspired by real-life abortion case Stachokus v. Meyers, choose. explores the messy intersection of politics, religion, and personal relationships in a provocative new work by Charlie Biscotto. 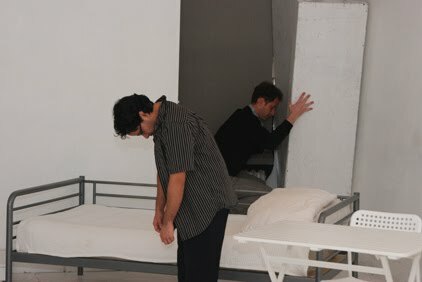 Woyzeck by Georg Buchner, or as we have dubbed it, The Endless Cycle, is a play that explores how society impacts the psychology of the individual. This new adaptation by director William Lewis and writer Charlie Biscotto further examines how the breakdown of man at the hands of his community is not only a thing of the past, but is a thing of today and quite possibly tomorrow if we as a people don't begin to discuss the themes that this timeless play presents. Please join us this Fall to get the dialogue going. 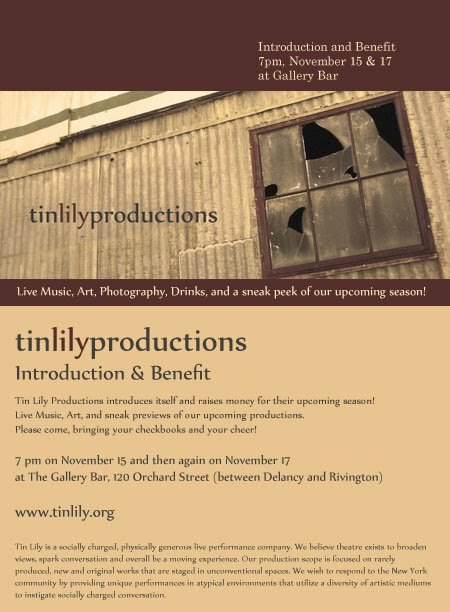 Tin Lily's Woyzeck / The Endless Cycle ran from November 8th through the 18th at The Secret Theatre in Long Island City. 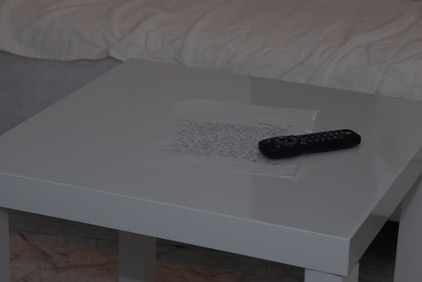 Stills from film projected in the show! 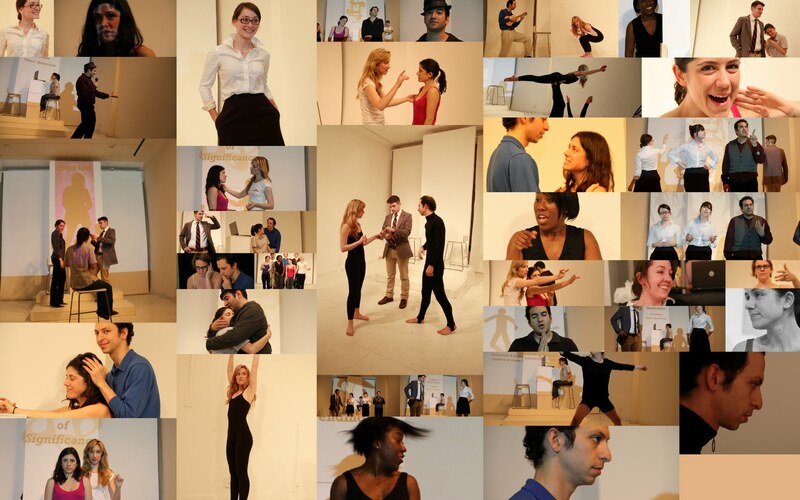 "Rarely is theatre that deals with eating disorders done with such compassion and honesty." 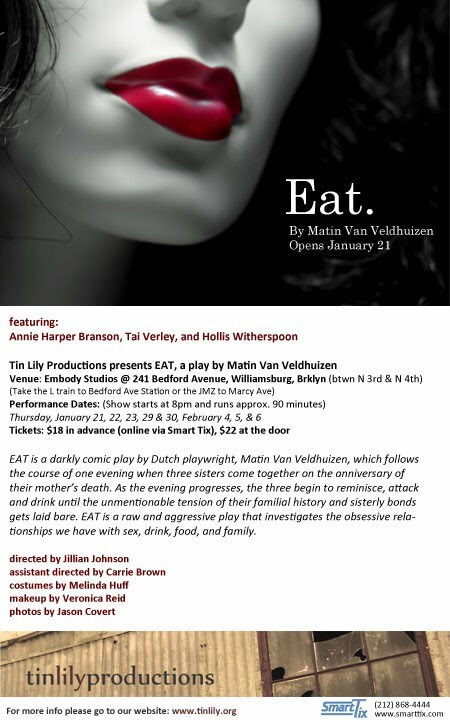 EAT is a darkly comic play by Dutch playwright, Matin Van Veldhuizen, which follows the course of one evening when three sisters are coming together on the anniversary of their mother’s death. As the evening progresses, the three begin to reminisce, attack and drink until the unmentionable tension of their familial history and sisterly bonds gets laid bare. 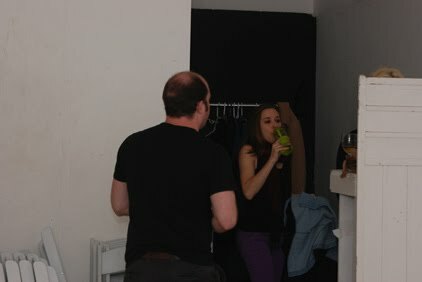 EAT is a raw and aggressive play that investigates the obsessive relationships women have with food and family. Fornes' challenging and delicate contemporary play explores feminism, social expectation and individual empowerment. The second act splits into four scenes in four separate areas literally moving the audience within the events of play. Set in 1935, Fefu and her friends is an intense character study of women on the verge of either self awareness or sacrifice. What: A big networking event! Visit www.wvmtf.com for festival performance and event information. "...every once and awhile a group executes the experiential production in such a way that it is entirely effective and thought-provoking. Tin Lily's Authenticating Eileen does this with intelligence and panache." A Song from "Authenticating Eileen" #1. A Song from "Authenticating Eileen" #2. 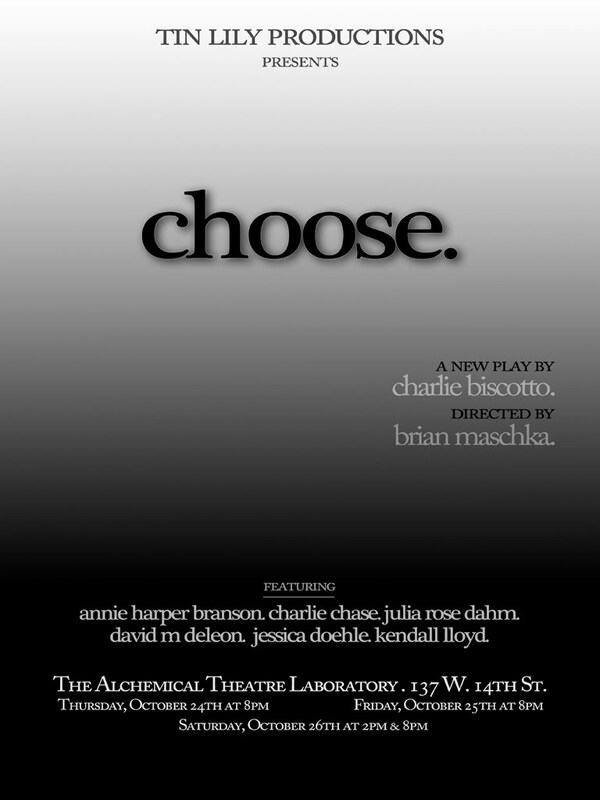 Created and Performed by Annie Branson, Ryan Feyk, Katie Middleton, Jared Miller, Karim Muasher, Monica Rounds, Nora Jane Williams, and Hollis Witherspoon. 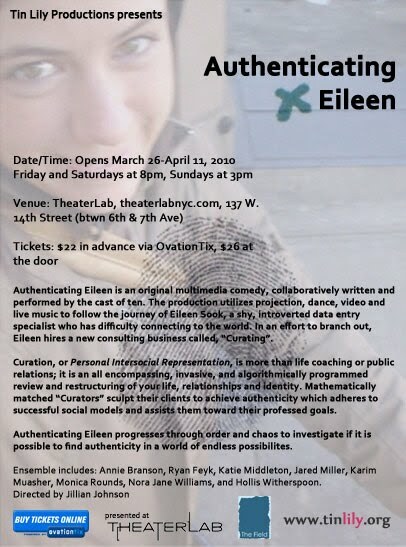 Our production of Authenticating Eileen is registered with the New York Innovative Theatre Awards. We are eligible for several awards [Outstanding Ensemble Cast, Full Length Script, Director, Leading Actress, etc.]. You can vote for us at www.nyitawards.com. Just click "Cast Your Vote".